Marybeth Tomka is the Head of Collections at TARL. This article is part of the June 2018 TARL newsletter. Such was the title of a brown bag lecture that S. Chad Oliver, professor of Cultural Anthropology at the University of Texas at Austin, gave in the mid-1980s. 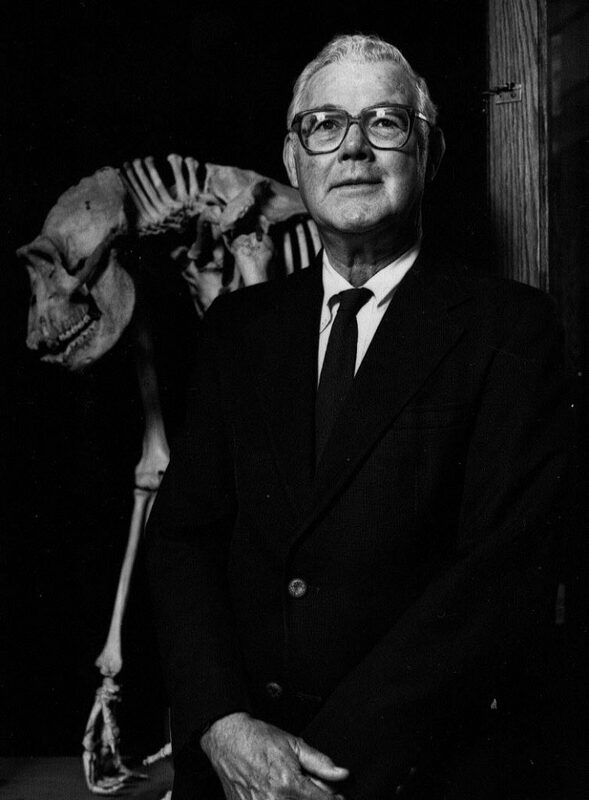 This is the story of my connection to Dr. Oliver–Chad–that mirrors my lifelong relationship or infatuation with both science fiction and anthropology. Dr. S. Chad Oliver, Professor of Anthropology and science fiction author. 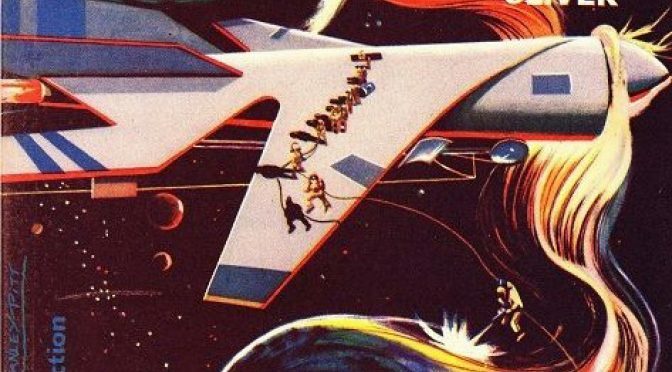 Looking back, my interest in sci-fi probably came from two of my three brothers, who were science fiction fans–growing up, one’s older brothers were like gods. Maybe my attraction also came from the social interactions and missteps played out in science fiction, especially the sci-fi pieces that were popular when I was a kid. The science fiction of those days often involved nuclear war and invasion by aliens. I think most of this fiction was due to the fear of nuclear holocaust and the perception that scientists would lose of control of their inventions, which would be used for evil. This takes us back to the lecture by Chad. Gene Roddenberry, the creator of Star Trek, believed that humans would overcome their destructive phase and come out the other side as peace-loving and exploring peoples. Like Roddenberry, Chad viewed humans as possessing individual gifts that could be used for good, and this was reflected in his science fiction. In the summer of 1978, I had finished my freshmen year at UT and was dating a man also fascinated with sci-fi. Knowing I was studying anthropology, he borrowed a book from one of his mentors, who of course was another sci-fi nerd. The book was about an anthropologist studying a small town in south Texas that held an entire population of aliens. I was excited because I had just taken my cultural anthropology intro class from the author, none other than Chad Oliver. Unbeknownst to me at the time, Chad had spent time at the World War II internment camp in south Texas with his medically-trained parents, an experience that influenced his writing of this book. I loved the book and continued to read Chad’s fiction as I progressed through my graduatestudies. One of my favorites was his fictional take on the story of the battle at Little Big Horn. The book, other than the fictional content, was almost verbatim his Plains Indians class lectures leading up to the Battle and Custer’s fall. The hours in the classroom with him that semester were so enjoyable, and when he would see me checking my mail in the grad lounge after class would ask how he did that day. My dear Dr. Oliver, you were always a riveting lecturer. Those reading this of a certain age and knowledge of Texas archaeology will immediately recognize the names of these people as those who left lasting effects on the practice of archaeology and the very collections that TARL holds. 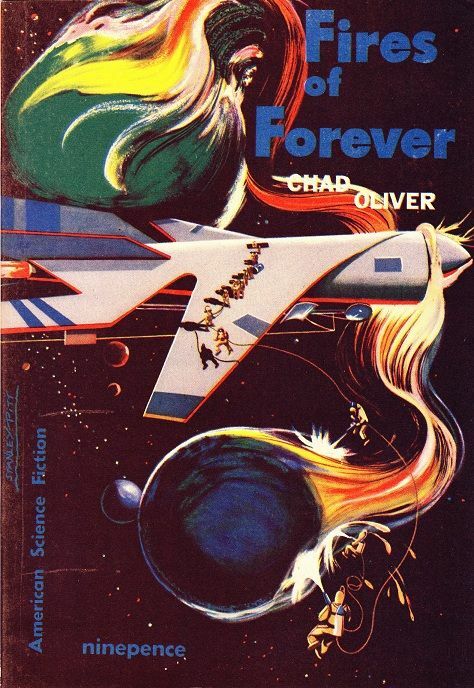 The connection between this story of Chad Oliver, who always wanted to teach a class about anthropology in science fiction but never had the time, and TARL’s history is just another of the wonders of working here. But one final comment: Chad was wrong–there was an anthropologist on Star Trek’s Enterprise for one episode. I let him know after the lecture, and I like to think that he appreciated my candor as appreciated the unique personalities and talents of each of his students. My dear Dr. Oliver, you could reach out and grab your students with your lectures. After all these years, we miss you still. Thank you Mary Beth. Dr. Oliver was my favorite as well and I loved his sci-fi. Thanks for this! Chad was one of my favorite teachers. And he was quite a Writer, with a capital W!